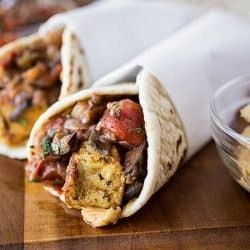 In a large bowl, combine Crescent Foods Chicken tenders, ground chipotle, ground garlic powder, ground cumin, ground cayenne, salt, lime juice, and 1 tablespoon grape seed oil. Toss until chicken tenders are well coated in seasoning. 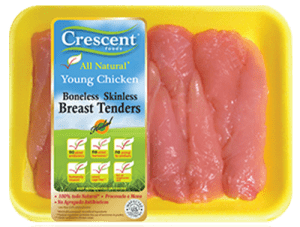 Allow Crescent Foods Chicken tenders to marinate in the refrigerator for a minimum of 30 minutes. Heat remaining 1 tablespoon of grape seed oil in a skillet on medium heat. Place chicken tenders in the skillet and cook 3-4 minutes on each side. To make your avocado sauce, place avocado, cilantro, lime juice, garlic, jalapeno, water and salt in a blender and blend until smooth. 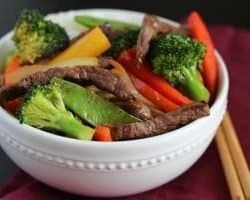 You may wish to add more water for a thinner sauce. 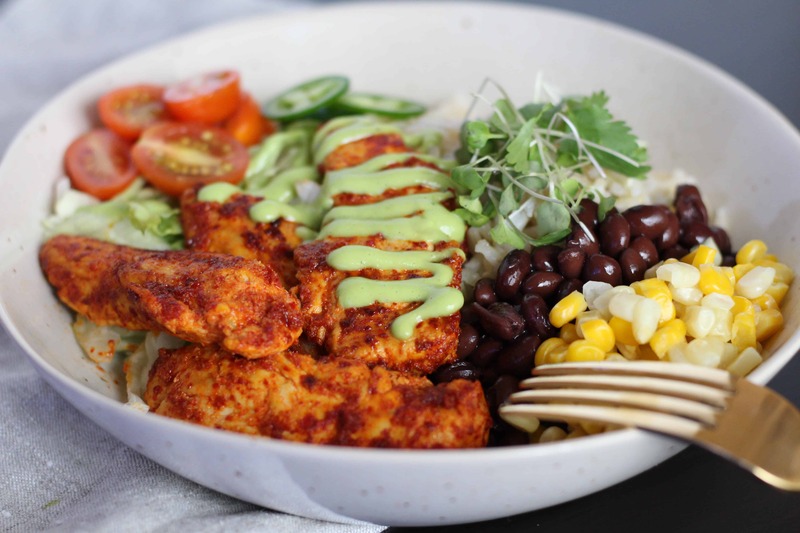 Assemble your bowl by laying chicken atop the rice, beans, corn, tomatoes. Drizzle with avocado cream sauce.